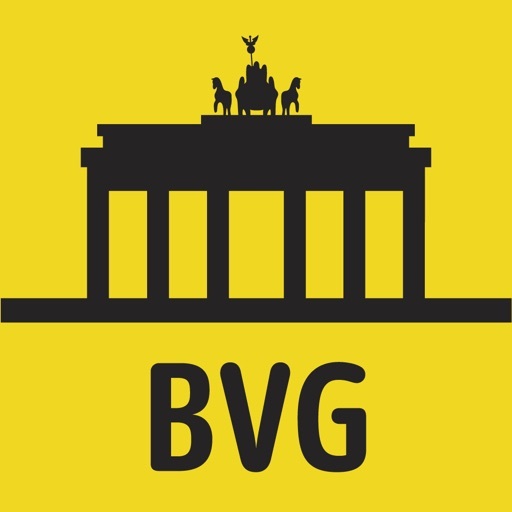 You are lost in Berlin? 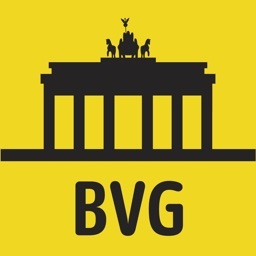 No need to panic: With the BVG-FahrInfo- App you can individually determine and adapt your city tour through the capital: Stopover at Berlin Cathedral? No problem. 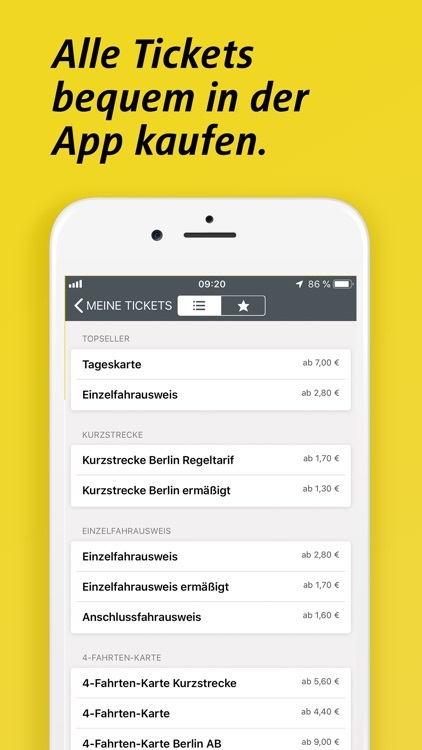 You can buy the right ticket directly in our app. 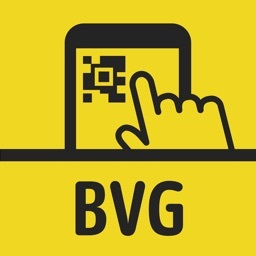 Always on the best route with the BVG timetable information! 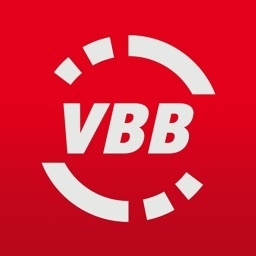 Our app plans your travels for all means of transport in the VBB (Verkehrsverbund Berlin-Brandenburg) with underground, suburban train, tram, bus, ferry and regional train, with the corresponding ticket as direct purchase. 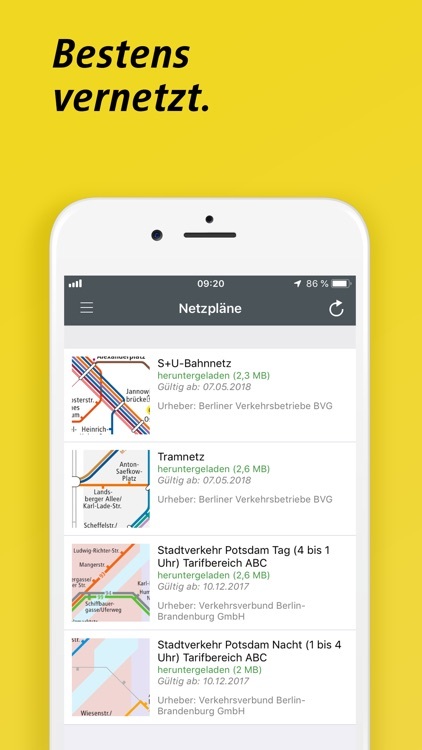 Choose from options what is important to you on your way: direct connection or with a stopover, barrier-free or by bike. You can also easily define transfer times and means of transport. 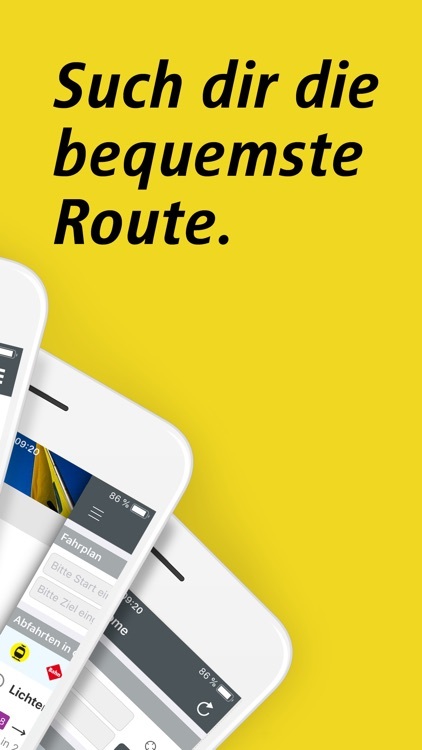 View real-time departure times at your chosen stop or for your chosen route. 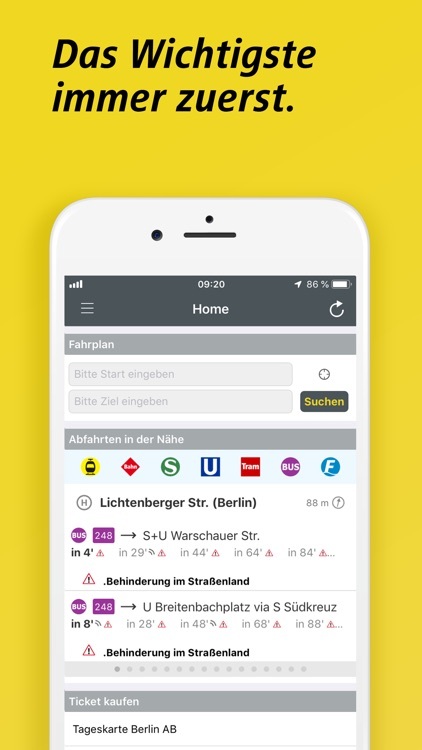 For a faster query, save your favorite stop as Favorites and download the Departure widget to your start screen. 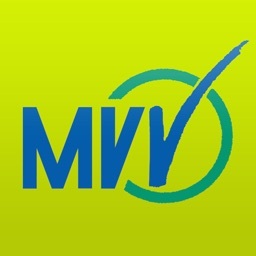 Set an alarm and you receive notifications in case of connection changes. 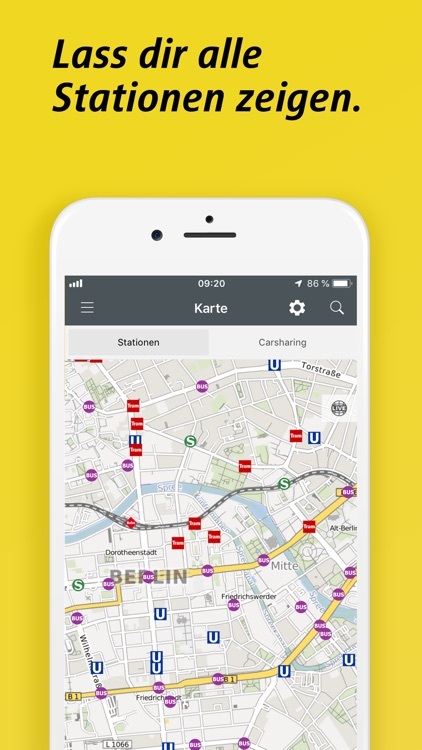 And if you don't know where the suitable stop is, we'll show you how to get there using the location search in the map function. 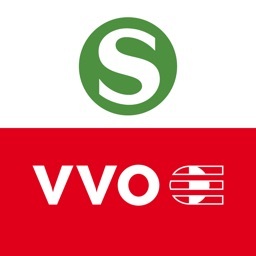 If required, also with locations of our bike or car sharing partners. Use the zoomable line network maps for further information. 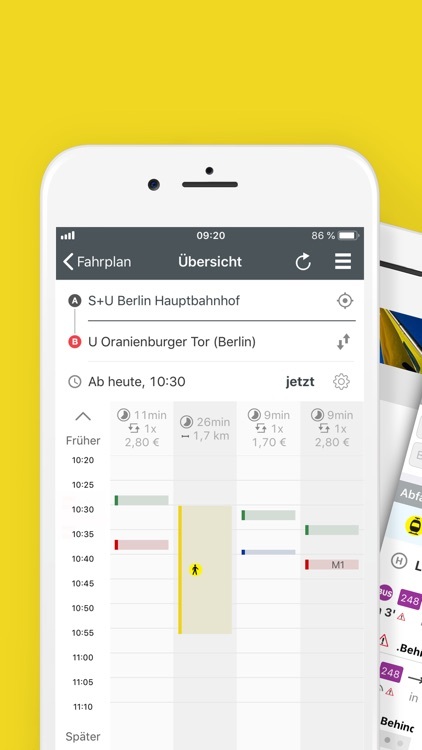 The FahrInfo- App also allows you to buy tickets for the whole of Berlin (AB, BC, ABC): day ticket, single ticket, short trip ticket, 4-trip ticket, extension ticket, small group day ticket, WelcomeCard and CityTourCard as well as tickets for bicycles. 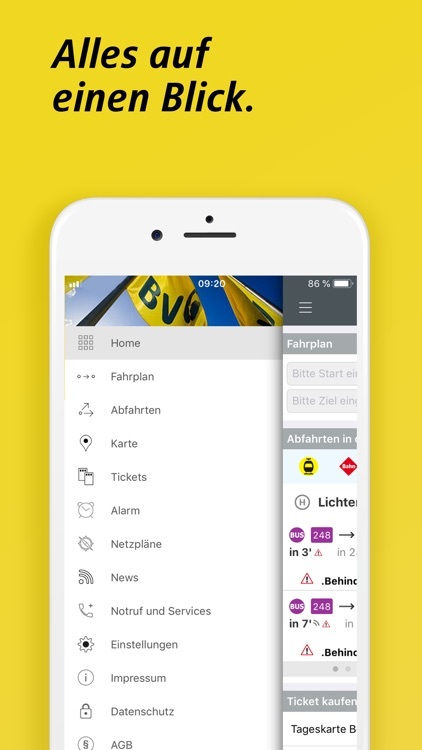 With the ticket widget you can call the ticket directly from the Home screen.